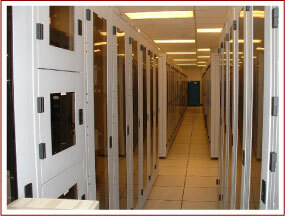 Mirrored hardware and software will be deployed at our co-located facility in Chicago, Illinois. There will be minimal system interruption time experienced by our customers. The Emergency Offsite Operations Center, located in Dallas, offers the same level of day-to day service as our primary locations in Houston. In case of an emergency, a team of Liberty managers and IT personnel will coordinate the implementation of one or more procedures after evaluation of the severity and type of the emergency. Consequently, the team will also be responsible to update and notify employees with regard to decisions made. During the downtime in most codes, all services should continue to function as normal, however service time may be affected.